San Giorgio Jonico is a medium size town and it is situated at approx. 16 km from Taranto, the major city of the region to which it is well connected. Its cultural anthropology is antique, the archaeologists have found traces of the Bronze ages in the area of Mount Sant'Elia. More exhibits of the Classic Greek and Roman periods have been traced here and are on show in the National Museum of Taranto. The territory of San Giorgio lies in the "chora tarantina" (household of Taranto), and it was one of the major agriculture production areas during the Greek colony times. Normans (Angioini) and their allies. Once the rebellion was over, for their merits in battle, the Albanians received the titles to build their settlements in a low density population area in the East part of the province known as "Albania Tarantina". 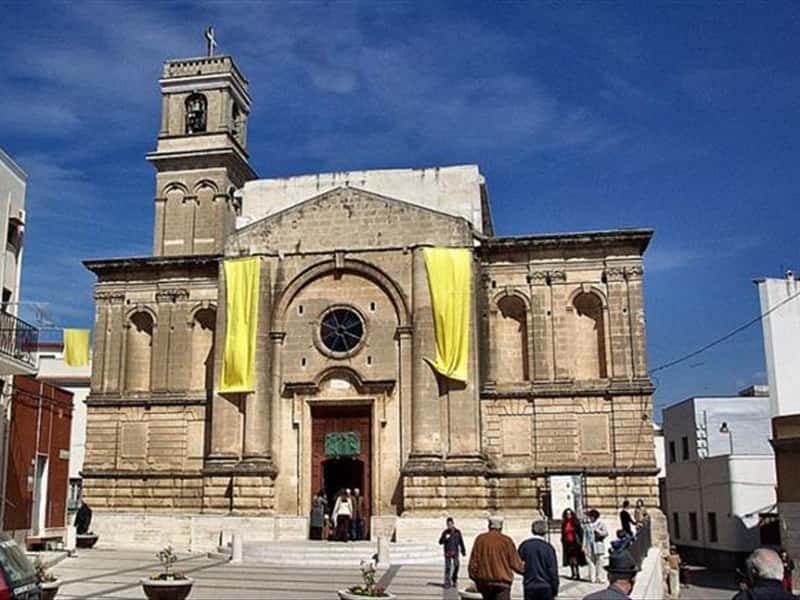 Even the local inhabitants of San Giorgio were interested by this immigration and the local language and traditions received a Greek-Byzantine influence from these populations, which seem to have disappeared over the centuries. To visit: the baroque church of Santa Maria del Popolo and the Tuff caves (tufo stone) of "Tagghjate". This town web page has been visited 16,582 times.